PhotoArtist 2 is unique creative software that lets you turn your photos into beautiful works of art. Give free rein to the artist in you! This new idea makes creative photo processing a lot of fun, and lets you turn even unexceptional photos into various stunning masterpieces. 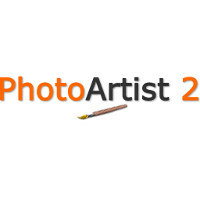 PhotoArtist 2 offers a wide range of painting styles, special effects, brushes, and blending tools. With over 50 filters, and mixing features to combine them all, the artistic possibilities are endless. Whether you want to create hand made art with a strong personal touch, or rather just get quick results, PhotoArtist 2 provides you with all the tools you need! This new software lets you create stunning works of art from your own photos! Do you want to have great looking photos, and get the job done with ease and fun? 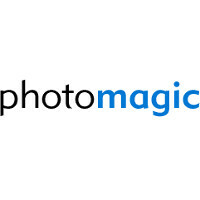 Then PhotoMagic is all you need: a complete photo software suite! PhotoMagic adds beauty and perfection to photography. It offers all you need in one photo suite: professional, award-winning technologies provide you with the highest possible quality. PhotoMagic comes with an easy-to-use yet powerful interface which lets you design, paint, repair and resize your photos. This complete suite is a must have for all digital camera users!